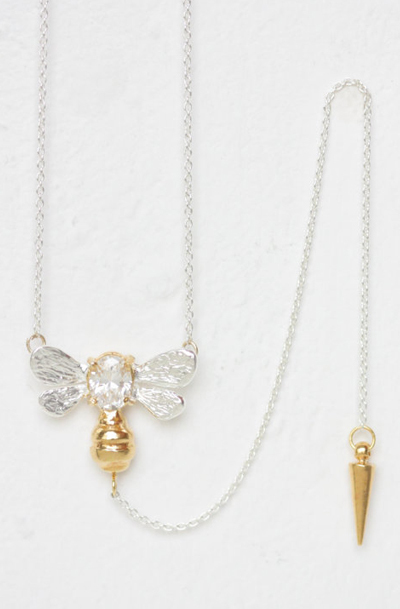 Make a visual statement with sterling silver gold bee necklace from Ted and Mag. Custom handmade golden bee and dangled bee sting pendant, they will provide sentimental mood. The necklace features a large shining zirconia on bee pendant and bee sting The effect is sultry and sophisticated. Create your own signature style each time you wear them. This also makes a magnificent anniversary gift for a friend or loved one. This is a limited edition Ted and Mag original. Order now to guarantee availability.